Parties are so much fun, aren't they?! 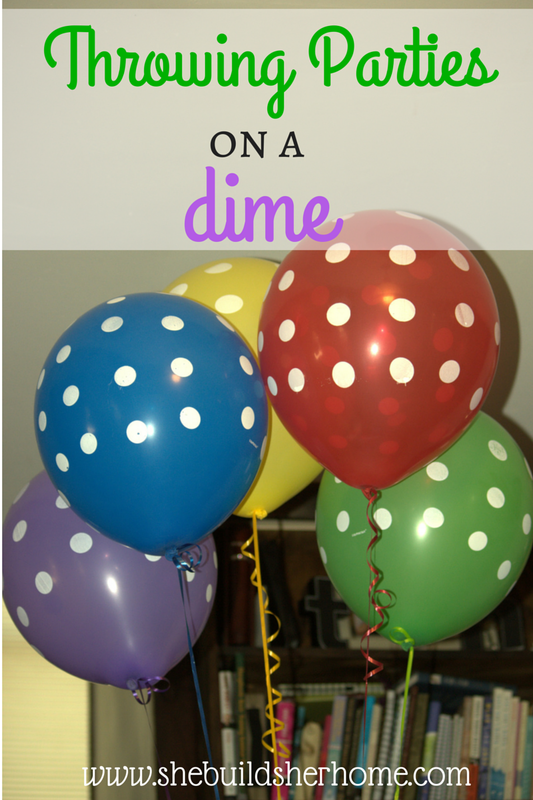 I have always loved throwing parties, but since having kids and having infinitely more parties to host and attend, it can be stressful to come up with ways to do it without spending hundreds of dollars. 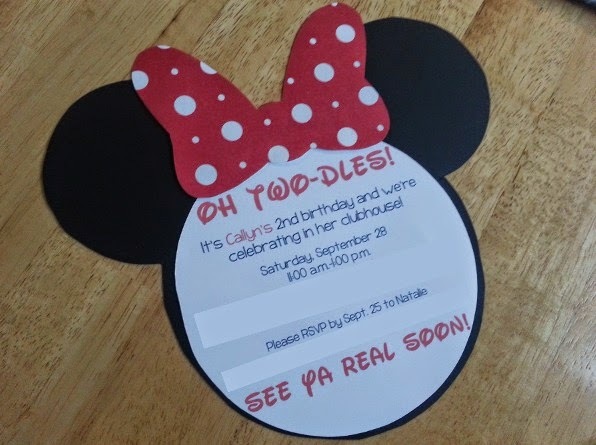 Since I have 2 kids whose birthdays fall about 6 months apart every year, I definitely can't afford to be hosting really expensive parties that often. And our family is only getting bigger! 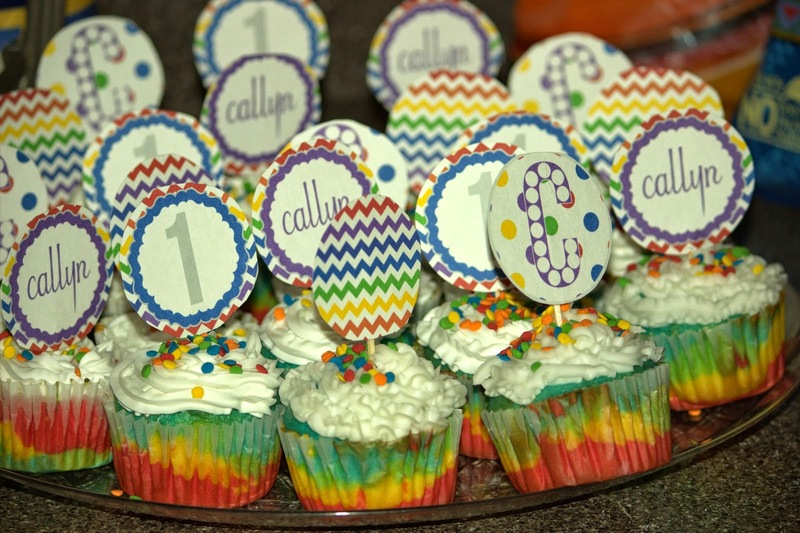 Whether you are hosting a preschooler's birthday party, a baby shower, or an anniversary bash, hopefully you will be able to put some of these tips into practice. Don't provide a meal This is probably contrary to what most hosts would say, but we all know this is the most expensive part! You can still throw a stellar party without having a meal at it. For my kid's birthdays, I have done some of both, but I typically try to have their party in late afternoon-after lunch but before dinner. A late morning would work out well, also. This way, people don't expect to get a full meal and you aren't busting your wallet to provide it. Even if you have 20 guests and get $5 Little Caesar's pizzas, that will still add up really fast. Instead of providing a full meal, try offering themed snacks, dessert only, or finger food choices. 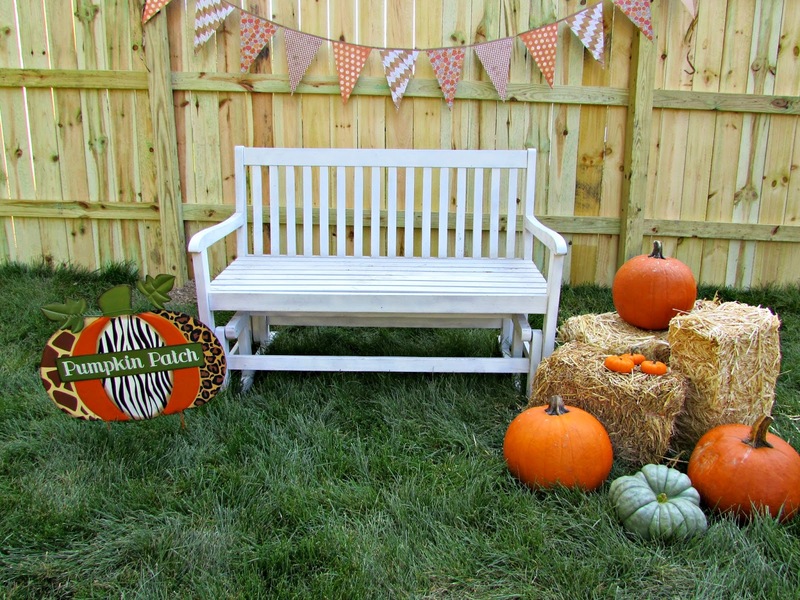 These ideas could turn out really cute and be way less expensive! 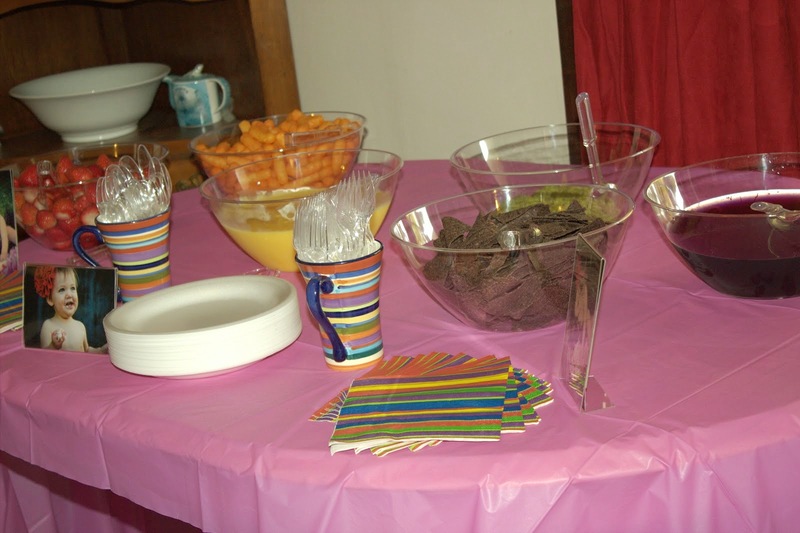 For my oldest daughter's first birthday party, we had a rainbow theme, and offered snack foods in each color of the rainbow (strawberries with dip, cheese puffs, vanilla pudding, guacamole, blue corn chips, grape jello), as well as drinks and cupcakes that I made. Choose a theme early If you're going to have a party theme, pick one early! This way you can be on the look out for things on sale and you will have extra time to DIY things or shop at thrift stores for items. This will also give you lots of time to peruse Pinterest for ideas, of course ;) Make your own invitations and paper goods Making your own invitations does not have to be intimidating. There are so many tutorials out there these days and with free websites, like PicMonkey or Canva, you have lots of tools available at your fingertips! Search Pinterest or etsy for ideas you like, and then create something similar on your own. This may save you quite a bit, although you can sometimes find custom PDF invitations for a pretty good price. 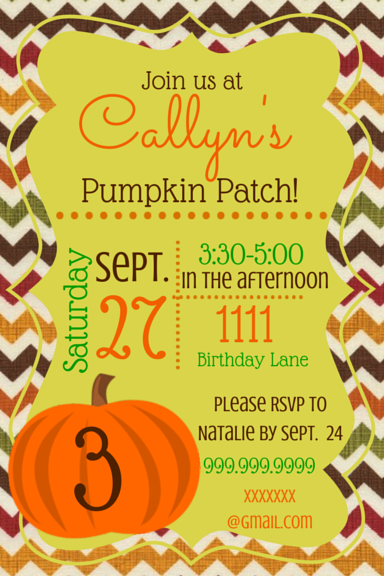 If you are going to make several paper goods, like printables, cupcake toppers, etc. then you will probably save quite a bit by making your own! 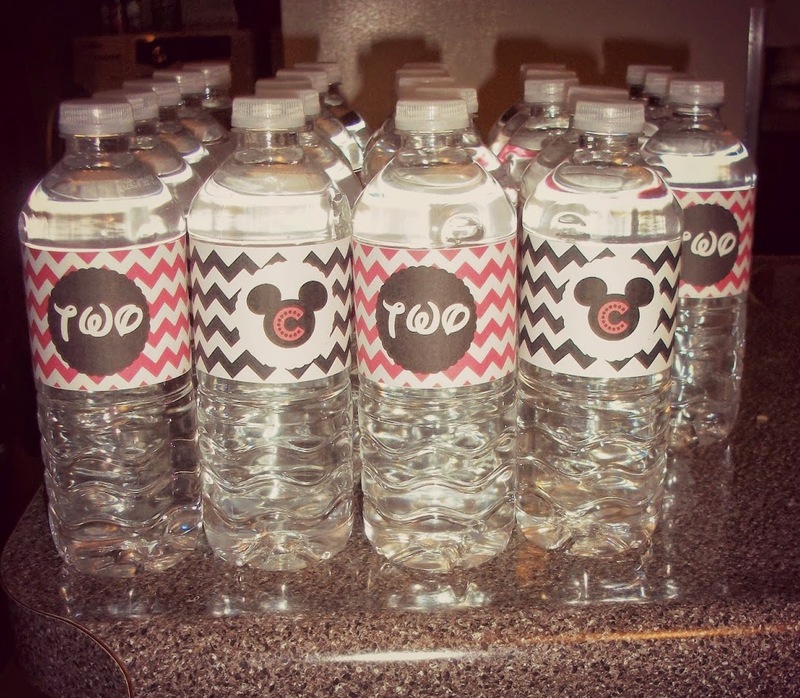 I made these food labels and water bottle labels really easily in My Memories Suite. Use what you have You probably have a lot of things around your house that you can use already! Using vases to put themed decor in, or adding household items for a little touch. Think outside the box and see what you have laying around in your home already. 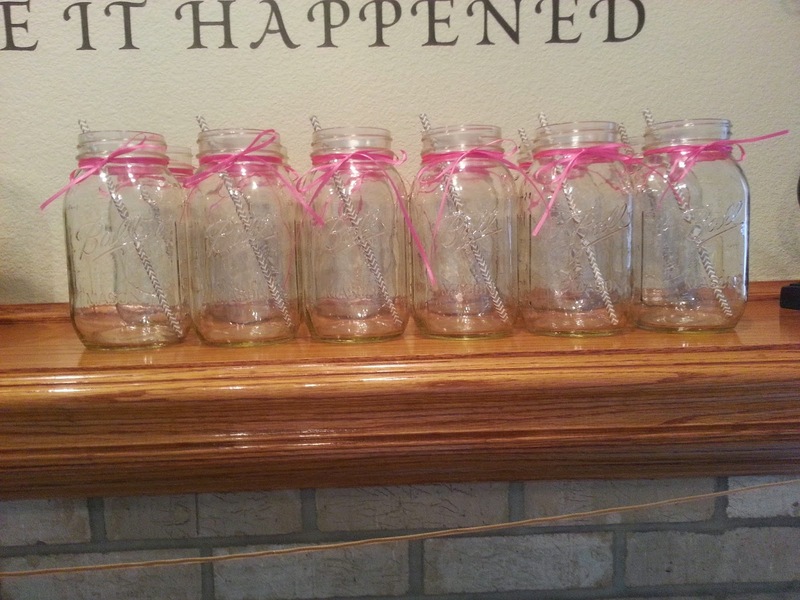 For my younger daughter's first birthday, we were in the middle of moving so we just had a small family party and I got out the set of mason jars I already had, and added ribbon and cute straws to make it a functional decor piece for guests to drink from. 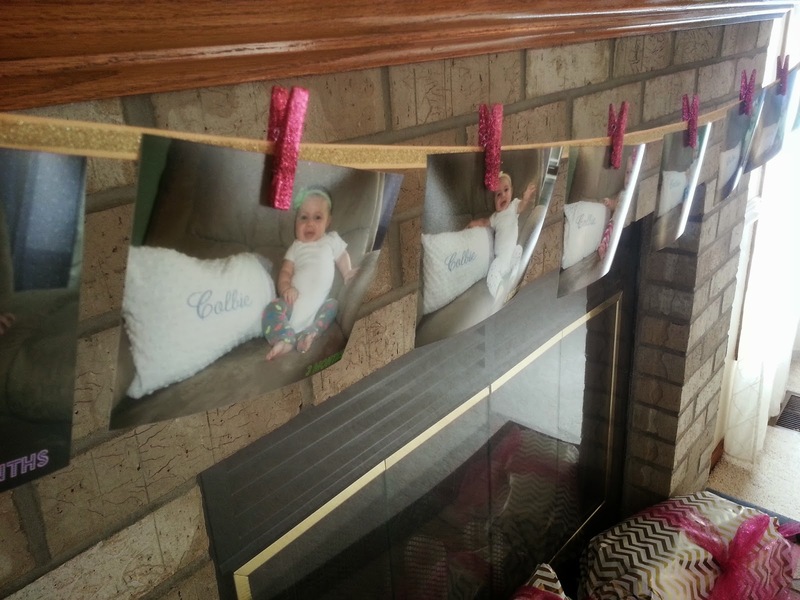 Showcase pictures Photos are cheap to print, easy to make a cute display from, and everyone loves them! Win-win-win! 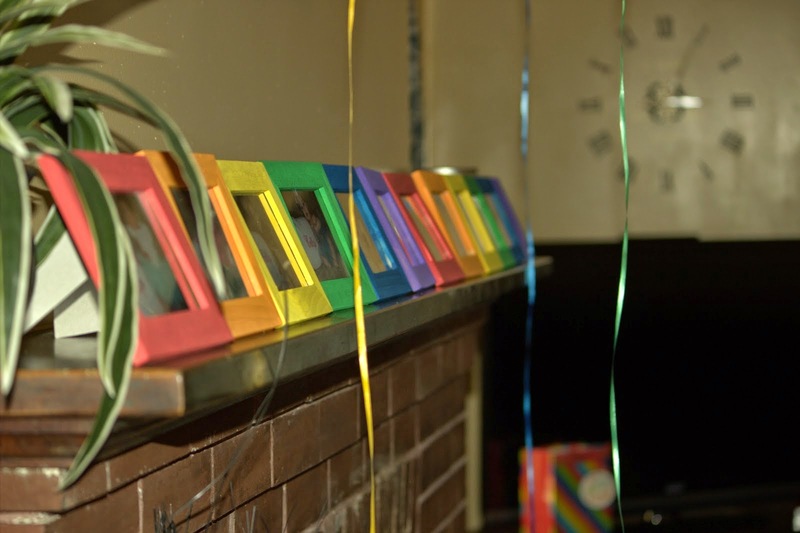 There are tons of cute ideas out there for cute photo displays. I try to always have pictures out at every party I host. It gives people something to look at and do, as well. 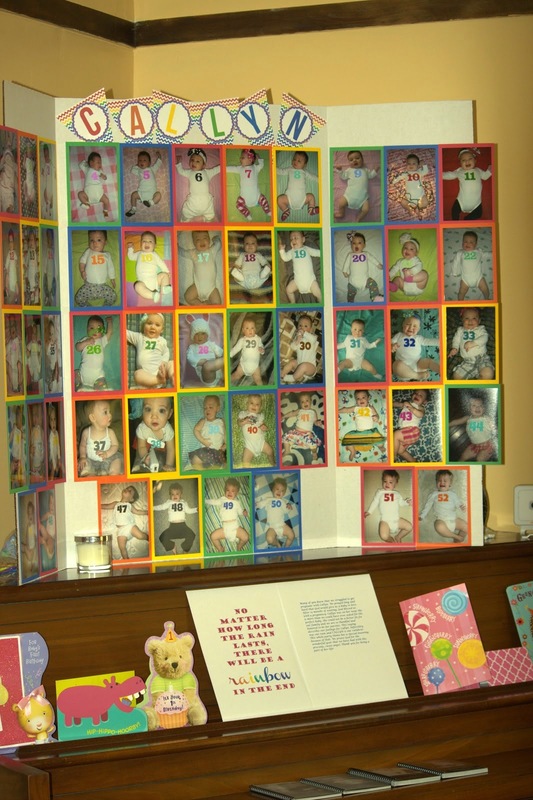 Some ideas I've used: tri fold board with weekly baby pictures, monthly pictures on a ribbon with sparkly clothes pins, cake smash photos in clear frames on food table, professional yearly photos blown up as decor pieces, photos in frames painted to match theme, pictures of baby and parents at same age to compare. Provide games & activities Instead of hosting the party somewhere expensive with fun activities, try coming up with a few games of your own. We have done simple things such as a guessing game to estimate how many photos we took of our daughter in her first year of life. The winner got a gift card to the froyo place. We have also done surveys where people tried to fill in the blank on things about our girls (favorite book, color, what she calls the dog, etc.) At the most recent party, we had a photo scene set up...photo booths are a big hit as well. At kids' parties, having activities for both the adults and the kids is always a good idea. We set up lawn games like Baggo if the weather is nice.